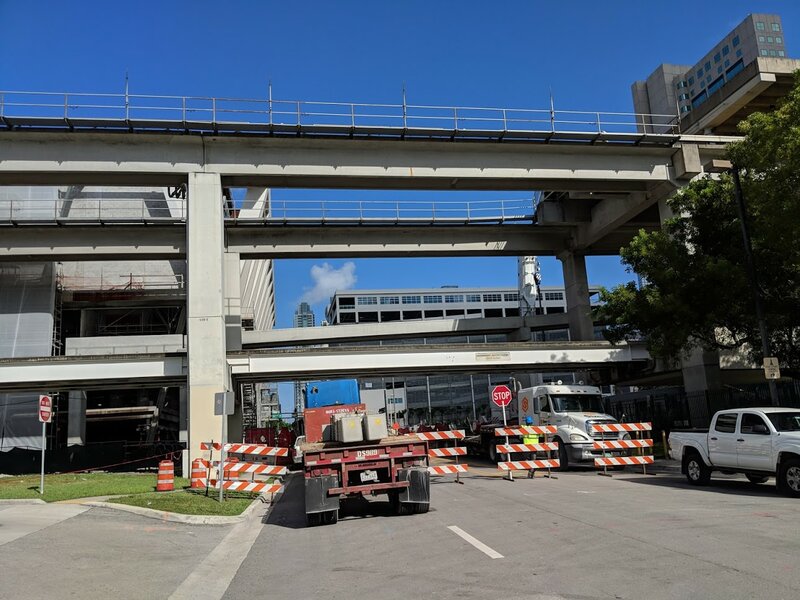 A pedestrian bridge is now in place between MiamiCentral and the Government Center Metrorail and Metromover stations. Northwest 3rd Street was closed over Columbus Day weekend to allow for installation of the pre-fabricated bridge. 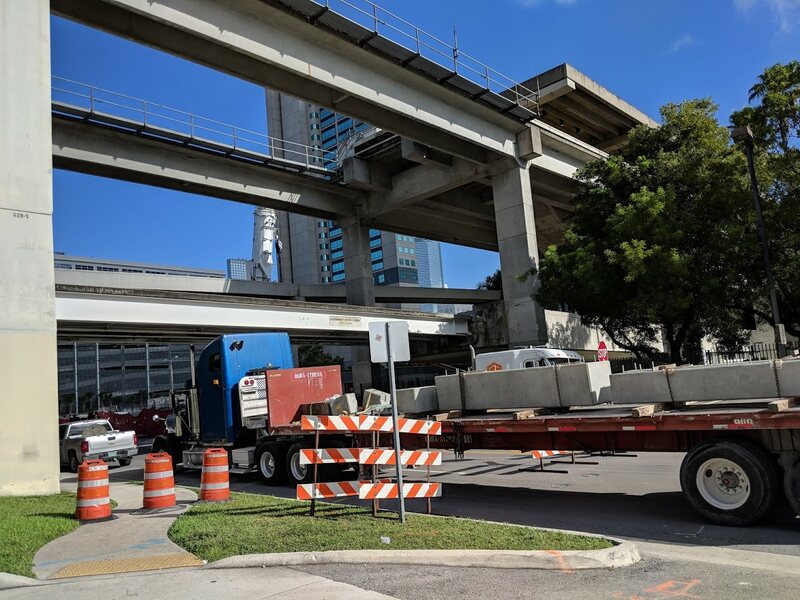 The bridge connects to the southern part of MiamiCentral, which remains under construction and isn’t yet open to the public. 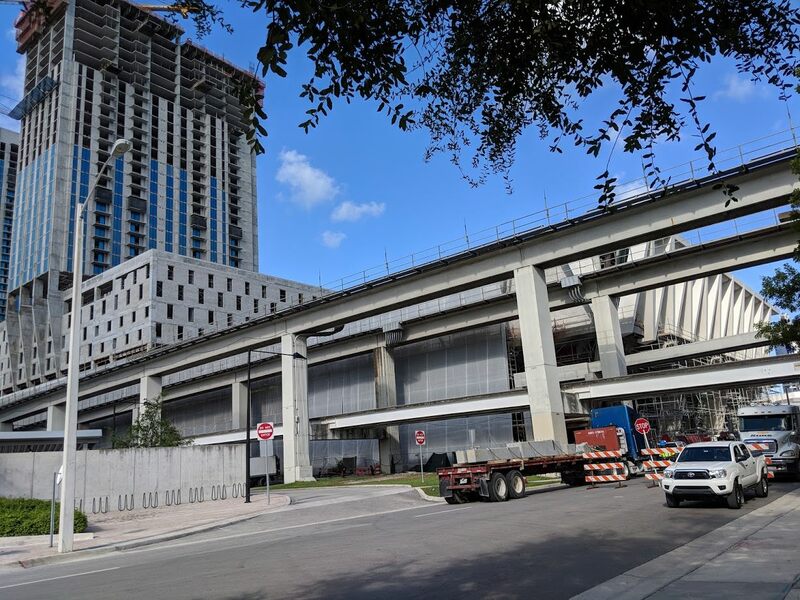 When complete, MiamiCentral will include a multi-level retail and food and beverage hub, along with office and residential space, and a Tri-Rail station. 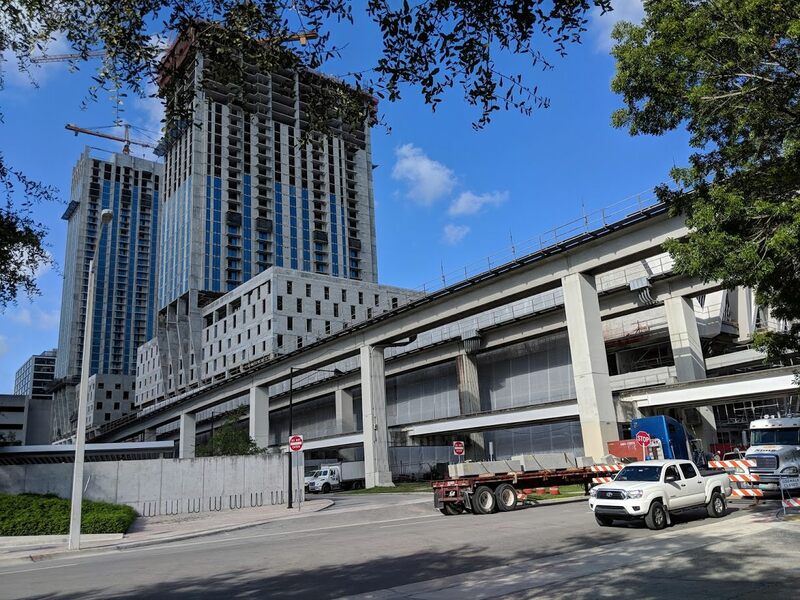 A Brightline station is already operating. Government Center serves millions of annual Metrorail and Metromover passengers. Cool, hopefully Government Center Station soon gets a renovation it desperately needs. Is it covered from rain? Hopefully it will be covered for rain and air conditioned, too. Maybe enclose it like they did the Orlando tracks in that terminal. Cover it or provide a wind tunnel effect over the top of the passage way. The firm didn’t use feminist hired through affirmative action like the FIU bridge. This is a nice surprise. I thought the bridge was probably a few years out. What exactly should we be looking at in these pics? Looks like a bunch of highway ramps. Could someone point where this pedestrian bridge is? I agree.. I have looked at these picture twenty five times and I still can’t point it out. The bridge has already been there for 2 weeks…. more than two weeks. lol, almost 2 months. That’s the difference between what a private company can do so quickly vs what a bureaucracy run like Amtrak can not do. The tax payers spent 2 billion constructing a station at MIC airport and construction was all screwed up and nothing has been done in almost a decade to correct it. Too bad Mover doesn’t connect to closer Wilkie D Ferguson Jr station as well.